"Astounding Craftsmanship, Your Machines Are Themselves Works of Art!" 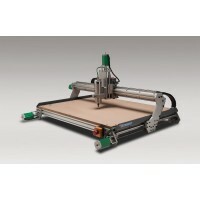 PROBOTIX™ builds precision CNC Router systems for your prototyping, production, industrial, or advanced hobby/home use. While we love our hobby CNC Router users, we outfit mostly small business and start-ups. We also equip successful and established businesses looking to capitalize on modern, affordable CNC processes. Companies with unique or custom cut products and businesses who do not have the square footage for a full size machine find the perfect fit with a PROBOTIX™ CNC router. Or perhaps they want several small machines running multiple parts at the same time in the same space as a full sized machine. Most PROBOTIX™ machine owners end up with two, three (or even more) of our CNC routers because of their precision, reliability, scalability, and ease of use. We have people using our machines to make wooden bow-ties, duck calls, custom furniture, pickle-ball paddles, speaker cabinets, quad-copter parts, printed circuit boards, custom guitars, gun holsters, skateboards, pool cues, cabinets, signs, and on and on and on. Our machines are used to make molds and fixtures, as well as complete finished products. We can help tailor a solution to fit your manufacturing needs. LinuxCNC is our control software system of choice. When you need reliability, you cannot depend on any of the current Windows/USB based programs. Windows doesn't have the precise timing needed for machine control, and so you have to couple it with expensive external hardware whose firmware is not robust or reliable. The Arduino based CNC controllers are severely lacking in proper machine controls, for instance GRBL doesn't even have proper jog capabilities. 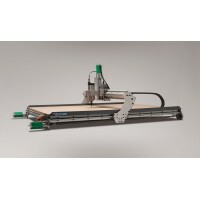 LinuxCNC on the other hand is a full featured, rock-solid stable, open source, CNC controller. It was originally developed by the National Institute of Standards and Technology before being given to the open source community... and we are experts at supporting it. Be cautious of the Chinese machines being branded as American or Canadian brands. 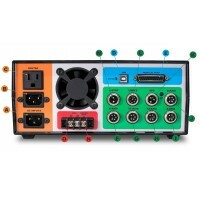 We sell replacement controllers to people all of the time who get frustrated with the quality, limitations, and lack of support from those brands. Whatever you buy, make sure you will get the support you need. We have sold machines and control systems to Intel, Microsoft, Apple, Sun Microsystems, Cornell University, MIT, Harvard, Johns Hopkins, Carnegie Melon, U of I, Auburn University, Georgia Tech, Penn State, Rose-Hulman, LSU, UCLA, UC San Diego, UC Irvine, UC Santa Cruz, Minnesota State, Michigan State, University of Texas, USC, Embry Riddle, Los Alamos National Laboratory, Stratasys, 3M, Dow, Siemens, Microsoft, Cafe Press, Hurley, ALPS, Asurion, US Navy, US Army, NIST, NASA, Disney, Wrigley, Akamai, Ovation Guitars, Honeywell, General Electric, Northrup Grumman , Lockheed Martin, SpaceX, Boeing, Caterpillar, John Deere, and many, many more. It blows ours minds the amount of creativity that is coming out of America right now. The recent "Great Recession" will go down in history, simile to the "Great Depression" in that the PEOPLE of the USA pulled themselves up from it......and came out on the other side, STRONGER. Follow News and Product Developments on Facebook!